Terry shows us how simple it really is to share our faith with anyone regardless of circumstance. He will teach us how to pass along what we already know, but may not know how to share. He begins with eight laws of effectively sharing the faith with anyone. We will receive practical training and application so that we too can become Soldiers of Christ! Terry is also a co-host for The Terry & Jesse Radio Show with Jesse Romero on Immaculate Heart Radio and EWTN Radio Network. St. Joseph Communications is the largest international Catholic audio and video reproduction and distribution company in the United States with distributors in Canada, England, Australia and the Philippines. Terry Barber has over 30 years of experience in evangelization in the Catholic Church; his two most influential talks today are The Ten Commandments of Evangelization and The Five Reasons to be Catholic. 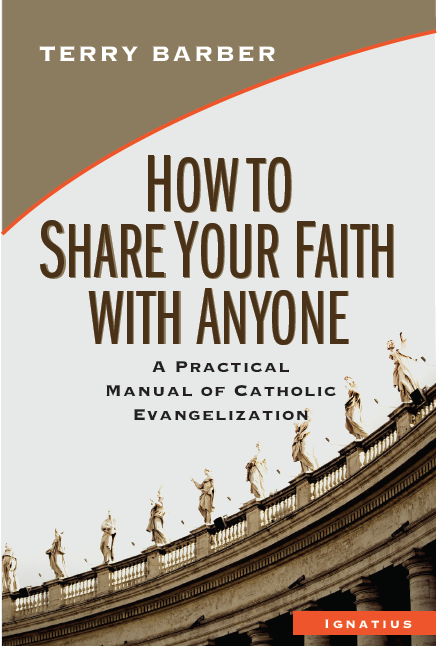 His most recent book “How to Share Your Faith with Anyone” was published by Ignatius Press this past fall 2013 with endorsements from Archbishop of Los Angeles, Most Rev. Jose H. Gomez, author/speaker Stephen Ray and Catholic Answers President Karl Keating. He is a true pioneer of Catholic evangelization and currently lives in Southern California with his wife and four children.